Since its inception, Split Britches have been committed to working with women, people of color, and LGBTQ+ communities. This has manifested nationally (e.g. founding WOW Café in NY; work in domestic abuse safe houses in upstate NY; collaborating with indigenous and mixed communities in MN) and internationally (e.g. working in women’s prisons in Brazil and the UK; and at the Taiwan women’s festival). Our accessible yet radical performances, public engagement and workshops consist of a larger, lifelong project to facilitate communication, wellness, and social change. Below are some of the projects through which we do this. Public Address Systems collects a series of projects created and coordinated by artist and researcher Lois Weaver. The current Public Address Systems are The Long Table, Situation Room, Porch Sitting and the Care Cafe. 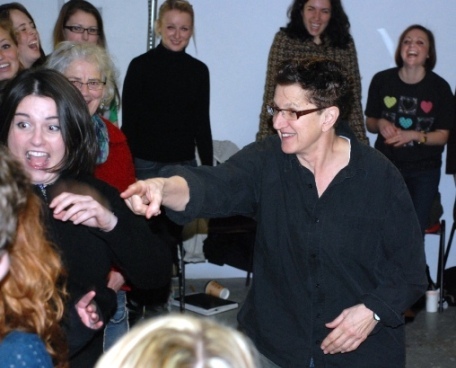 For the last 30 years Peggy Shaw and Lois Weaver have been developing strategies for radical independent performance making in the context of their work with their own company Split Britches. They love to share their findings with community groups across the globe through the facilitation of workshops. 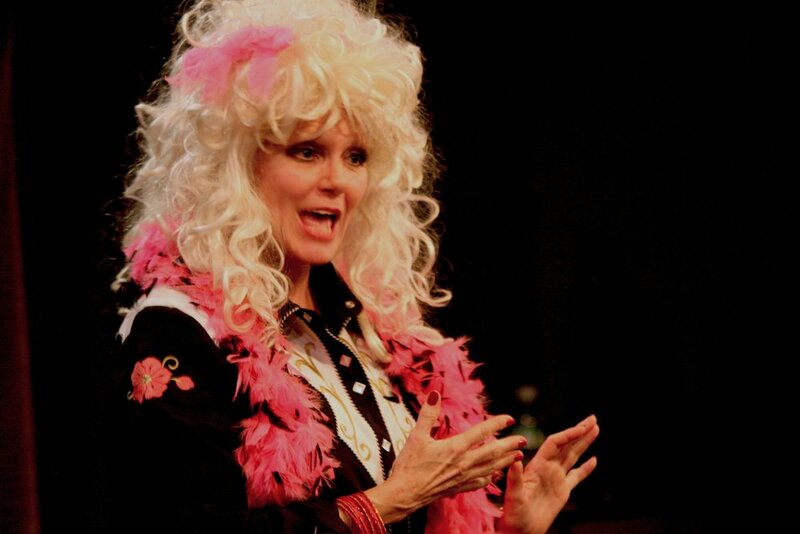 Tammy has accompanied Lois Weaver since 1978 as Weaver’s alter-ego, performance partner and research associate. Tammy is dedicated to the facilitation of public engagement in social and economic justice and experimental forms of democracy. Using the creative tools and technologies from her solo show RUFF, Peggy Shaw and Lois Weaver have developed a new workshop model, designed for survivors of stroke, yet open to anyone.